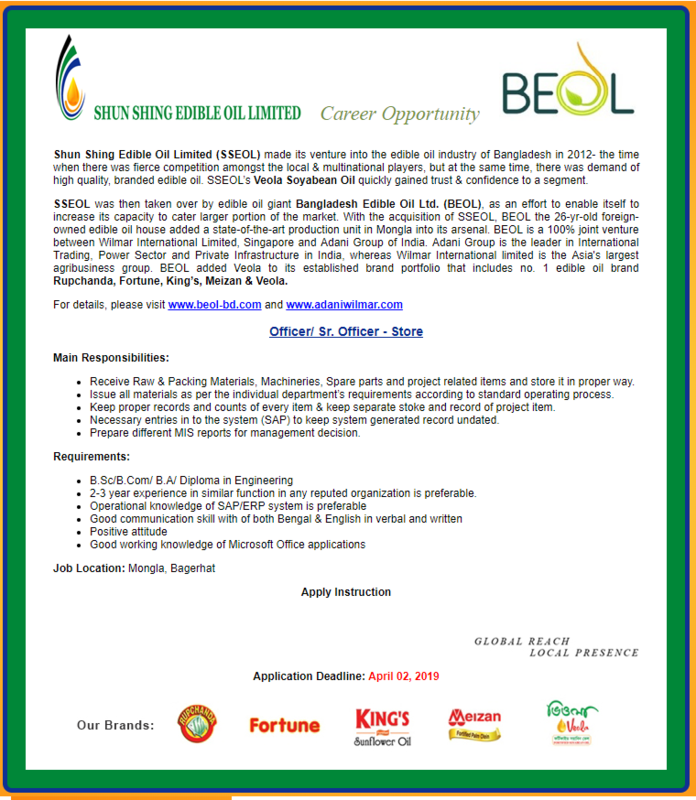 Shun Shing Edible Oil Limited (SSEOL) Job Circular 2019 has been published by their authority in daily online job portal and to get from the best jobs and the education portal website in BD Jobs Careers- www.bdjobscareers.com. For the user understanding, we would like to inform you that, Shun Shing Edible Oil Limited (SSEOL) made its venture into the edible oil industry of Bangladesh in 2012- the time when there was fierce competition amongst the local & multinational players, but at the same time, there was demand of high quality, branded edible oil. SSEOL’s Veola Soyabean Oil quickly gained trust & confidence to a segment.